The story begins in 1972 in Jersey City, the birthplace of Trash and Vaudeville, the first- ever streetwear shop; it then moves on to the start of punk, which was a decisive influence on what is considered ?streetwear? today. 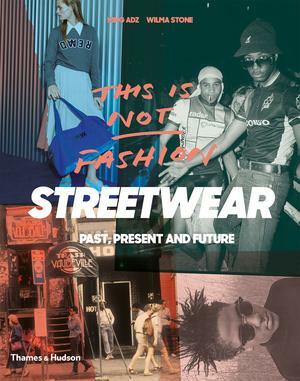 From the dresser/casual movement born out of British soccer culture to the skater scene of California, from the paninari poseurs of Milan to the surfer dudes of Hawaii, the authors show how streetwear has permeated a vast range of seemingly disparate tribes. With more than 500 photographs and illustrations, exclusive interviews, profiles of industry pioneers, spotlights on significant brands, and snapshots of key cities, this is the complete history of fashion?s fastest- growing and most influential trend.